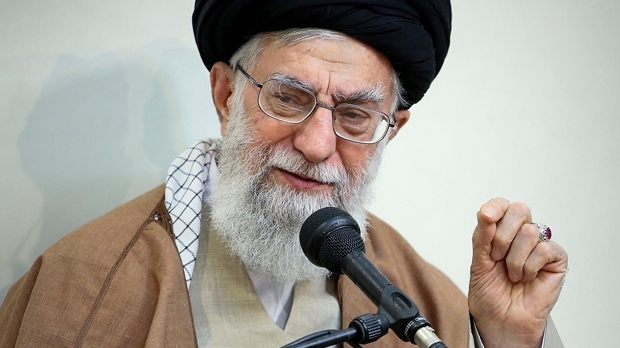 TEHRAN, Iran -- Iran's Supreme Leader Ayatollah Ali Khamenei is defending "Death to America" chants that are standard fare at anti-U.S. rallies across Iran but says the chanting is aimed at America's leaders and not its people. Khamenei's website on Friday quoted him as saying the chant means "death to U.S. leaders, death to (President Donald) Trump and John Bolton and (Mike) Pompeo." Khameini's remarks come as Iran marks the 40th anniversary of its Islamic Revolution.